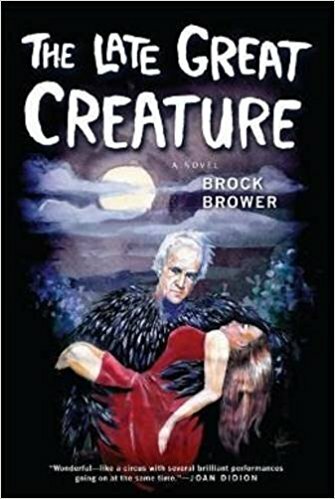 The Late Great Creature by Brock Brower was originally published back in 1971 and is now being repackaged and reissued for a whole new generation to enjoy. Simon Morrow is an ageing hammer horror style movie star. After struggling through the last decade on bit parts and atrocious scripts, his latest role comes in the form The Raven, a remake of Edgar Allan Poe’s classic poem. But as he attempts to ramp up the horror through television appearances and interviews, the majority of the public turn against him and it is realised his time in Hollywood is coming to an end. But what true legend can go out without a bang? So a ghoulish plan is forged to fake the perfect hammer horror death. This is a stylish and unique read but not necessarily an easy one. It may take a couple of re-reads of the first few pages to settle into the pace and approach to the beginning of the story. The first third of the book is written from a journalist’s perspective as he interviews Morrow during the filming of his final movie. This is the hardest section of the book to follow but it is definitely worth sticking with as the second two sections of the book are twisting, quirky and speckled with a fabulously dark sense of humour.